ErinChris Photo Blog: The New Website is Here! After a long difficult month of trying to get started on designing the new website, we are finally up and running! We just love the new design and of course it will continue to be a work in progress as we get deeper into wedding season. I really have to say that BluDomain has a really great product, although we have had some nightmares with customer service. Hopefully everyone enjoys it as much as we do! 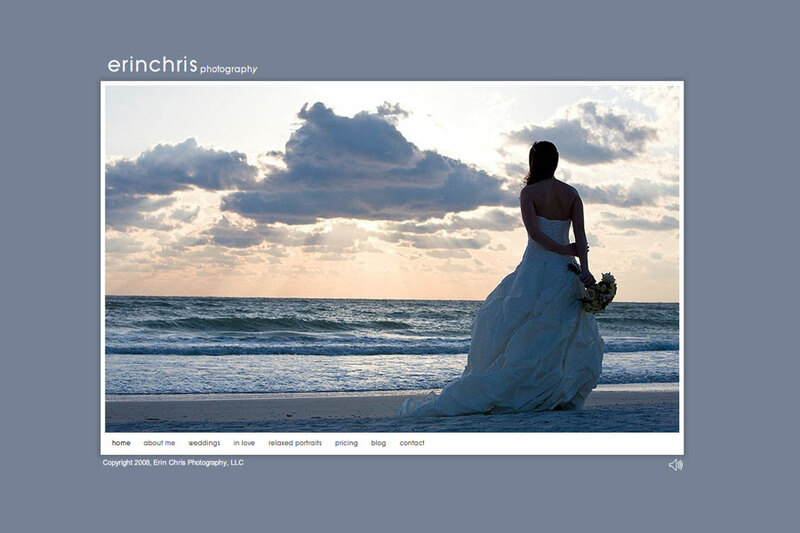 Here is a snapshot, but check out the new site here: Tampa Bay Wedding Photographers - Erin Chris Photography Website. I HAVE heard about the nightmares of BluDomain, but the site looks awesome! Beautiful stuff on there!